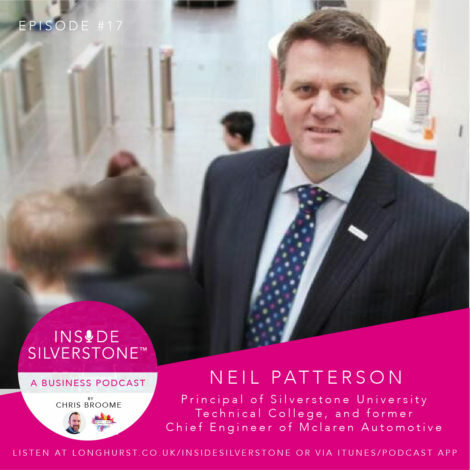 In episode #17, your host, Chris Broome, interviews Neil Patterson, Principal of Silverstone University Technical College, and former Chief Engineer of Mclaren Automotive. Listen as Neil explains his career journey from apprentice, to Chief Engineer at Mclaren Automotive, and then to Principal of our regions premier technical college. Neil talks through the challenges the UTC (and all schools) face; how their partnership with the Silverstone Technology Cluster is bridging the gap between employer and student; and how, many years ago, a slip of the tongue embarrassingly caught him out in front of one of his automotive icons.